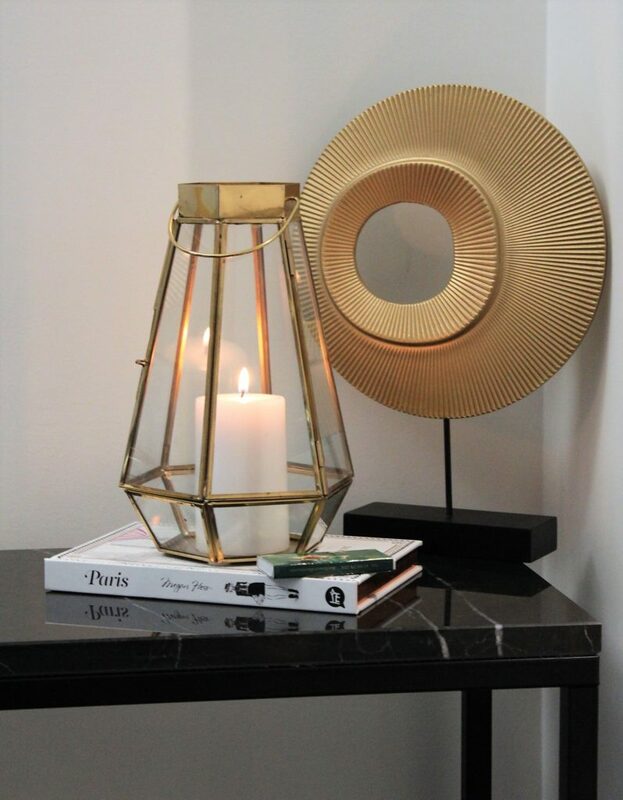 So you may be thinking about purchasing the new Black Stone Hallway Table, or you might already have it and are now wondering how to style it … You’re in the right place because I’ve got you covered! This hallway table is sleek! Real stone with metal legs it looks as though it should have cost you 4 times the amount that Kmart have it retailing for – it really is a great piece for it’s $49. What I love about this table is there’s plenty of room underneath to put a basket for shoe or throw rug storage. 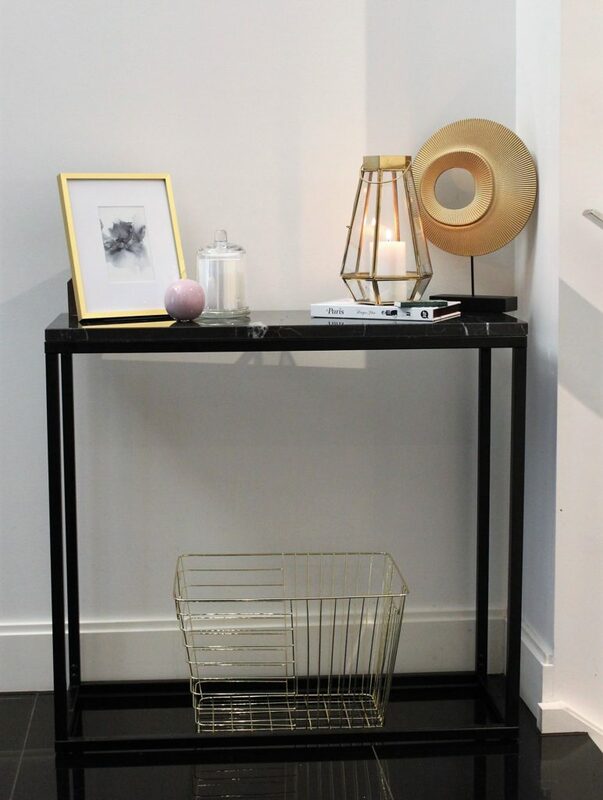 I’ve chosen the Rectangular Wire Basket – Gold Look – $9 – which sits perfectly in this space. I have surprised myself with this first style – I wouldn’t normally veer toward this type of home décor, but now that it’s all in place I really do like it! 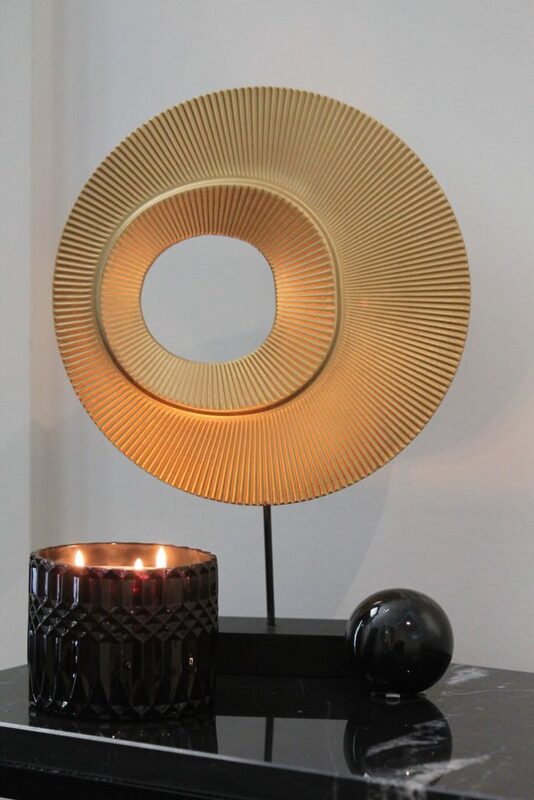 These pieces work well together and create not only a nice look, but a nice look that creates interest. 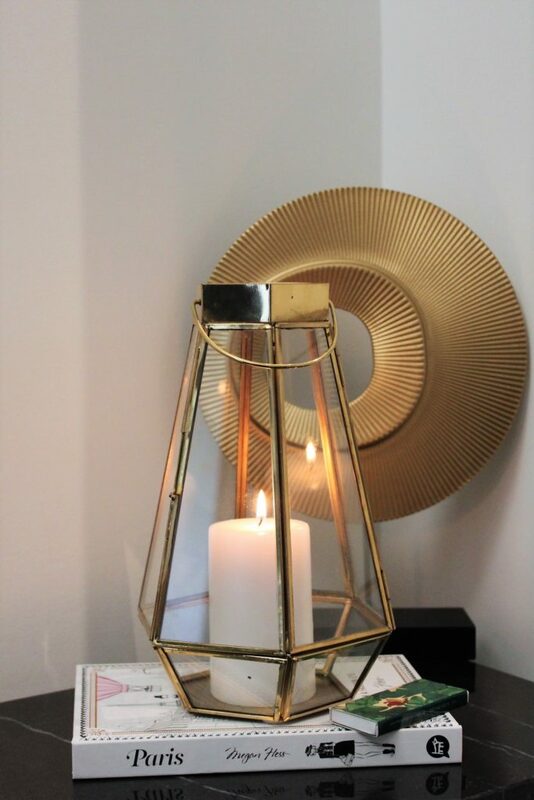 On the right hand side I’ve used the Décor Pendant on Stand – $7 – and in front of that I’ve got the Faceted Lantern – $10 – (with a small pillar candle – $2 inside) . This is sitting on top of a Megan Hess book that I picked up from Kmart sometime last year. 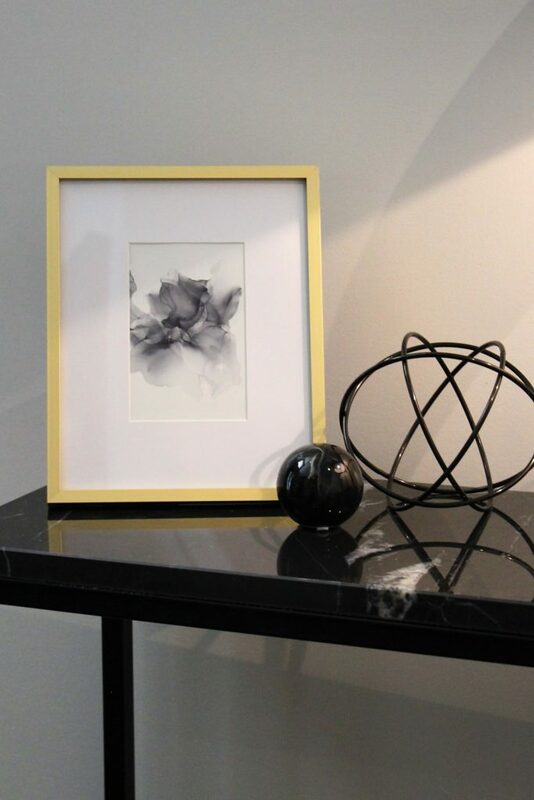 On the left, I’ve framed a piece of art that I made in a Gold Look Metal 4 x 6 frame – $8. Alongside that is one of the balls from the 3 Ceramic Spheres – $7, and a now discounted candle with glass dome – $6. The second way I’ve styled this really appeals to my eye – it’s got a lovely contemporary feel. 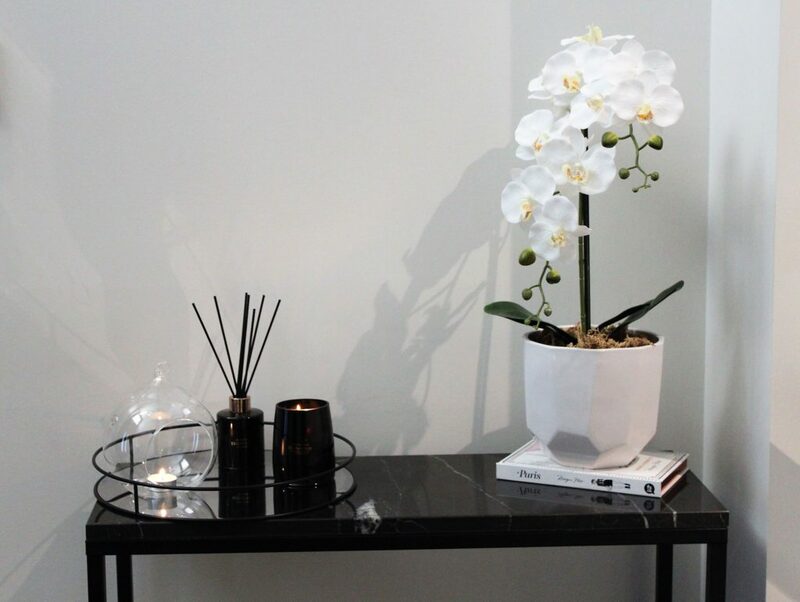 I’ve used the Orchid in Pot – $25 and sat that in the Geometric Planter – $7 and have them sitting on the same Megan Hess book used earlier. 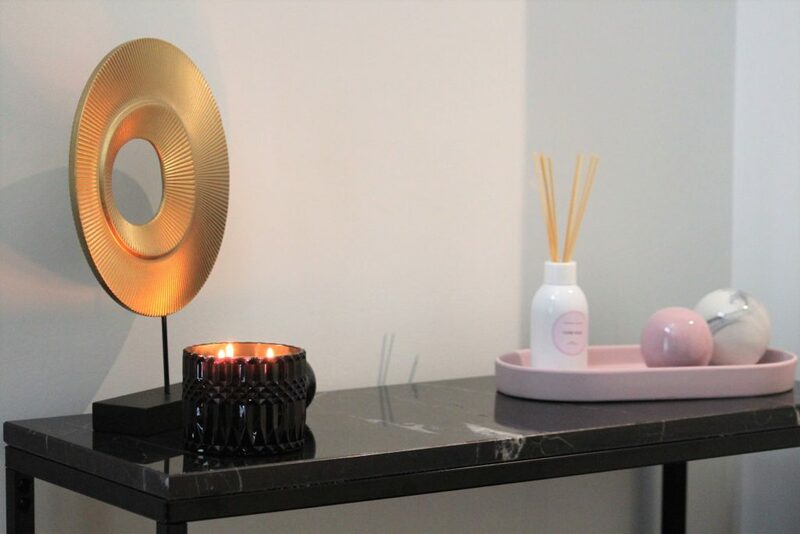 I’ve added a bit of colour into this third style – the pink, black and gold look fab together! I’ve searched the Kmart website over the last week and can’t find these 3 Ceramic Spheres for $7 listed on there .. but if you’re in store and see them, you should definitely grab yourself a set! They’re so great! 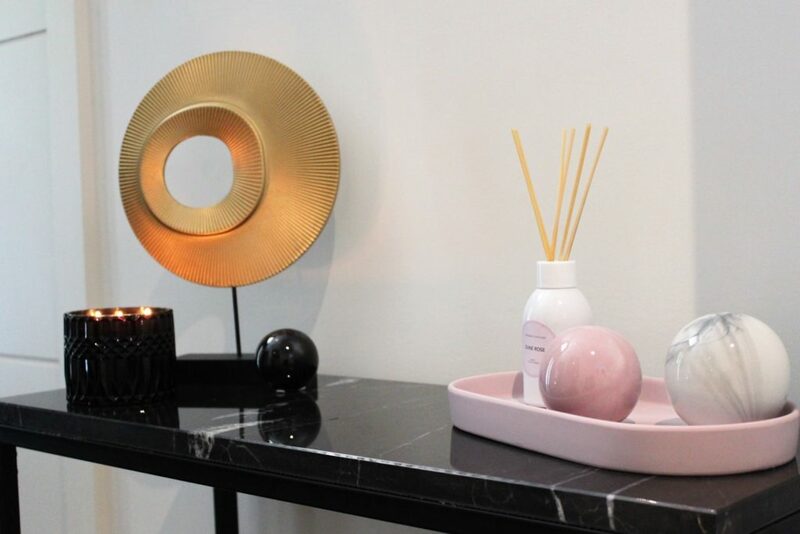 Down on the right hand side I’ve used the Pink Tray – $7 from the Bathroom Section, 2 of the balls from the set, and a Dune Rose Reed Diffuser – $7. 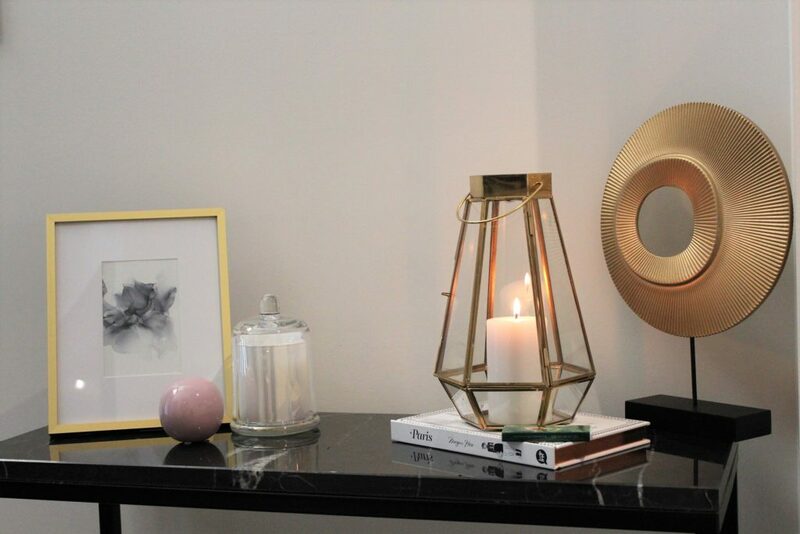 On the left I’ve got the Décor Pendant on Stand – $7, the third sphere from the set and also the Black Geo Candle – $9. 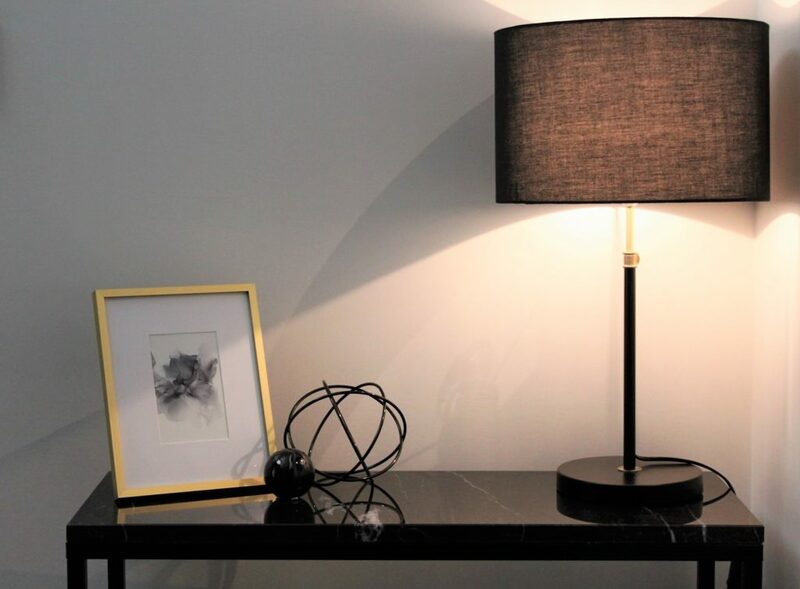 And for this last style, I couldn’t resist putting a lamp on the table. I am seriously loving this new Telescope Lamp – $29. You can adjust the height of this one, but either set high or low, it looks great and perfect for an entry way. 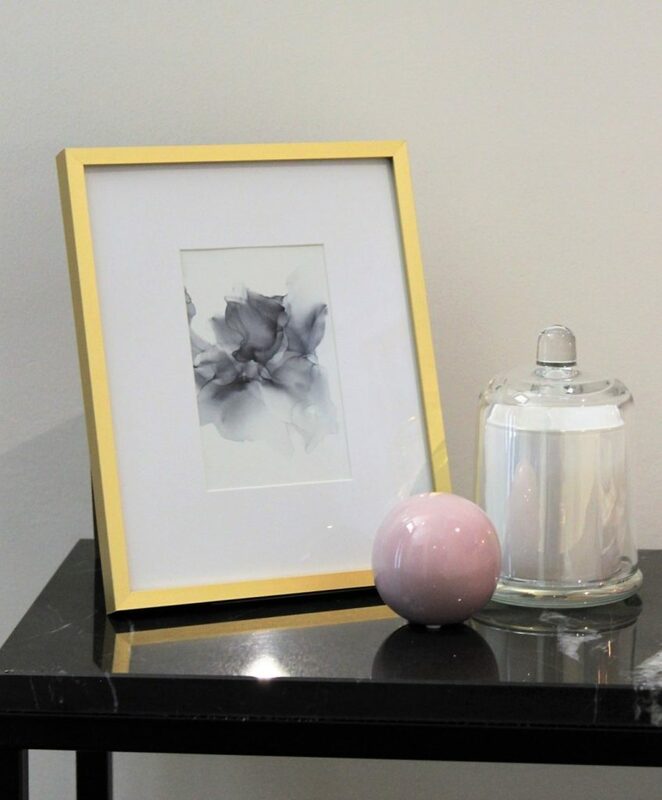 To complement the lamp, I’ve added the Gold Look Metal 4 x 6 frame – $8, one of the Spheres, and a Metal Sphere – $3. Again, this is another look that is really pleasing to my eye! When it comes to styling your entry way, not only do you want to make a good first impression, you also want your entry to be functional. By putting a table in your entry, you’ve immediately created a space to put your keys or your mail when you come in, there’s enough room under it for a storage basket for shoes etc. So if you’ve been thinking about adding this piece to your home, I hope these styling ideas will help you make the decision! If you’ve already got it, do you love it as much as I do? Remember if you post any social media pics of this table, include KmartStyling in your hashtags … not only do I love seeing your posts, but so do KmartStyling followers.